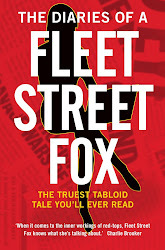 fleet street fox: Hillary Clinton might be a witch! Because she seeks power and we ALL know that means she's a tool of Satan, right? That's the topic of today's Hallowe'en column for the Daily Mirror which you can read here.